Unfortunately, on March 19th 2016, Nanette passed away from this horrible disease. Cancer came back and came back with a vengeance. This news broke my heart. She was always a vibrant, positive, charismatic person with an awesome smile, always motivating and inspiring others. So I can only apologize now, but I know she was passionate in sharing her story in the hope to educate other women in the prevention and detection of this horrible disease. I know that even though I didn't do it before she would have been pleased to have her story published now. Her story will continue to educate others. I will miss you my survivor sister, I'm sorry you never got to come to NYC and spend time together like we wanted to. Even though we never met in person I felt bonded to you on so many levels. We will keep you in our hearts and will continue with the mission to STOP this cancer from taking other women before their time. In June of 2007, at the age of 43, I was diagnosed with Cervical Cancer Stage IIb. At the time I was a divorced mother of three daughters ages 8, 14, and 20. I worked full-time as an Emergency Room nurse which meant long hours. I loved my job. My sister and I were on our way to my daughter's soccer game when I received "The Call." It was a Thursday. Thank GOD my sister was driving because it felt like time just stopped when I heard the words, "You Have Cancer." My eyes welled up, but I had to keep my composure...we had a car full of kids. I had a soccer game to cheer at and I remember thinking, "What if it's my last?" My Gynecologist who I've had since I was 20 years old...I heard his voice crack. I knew it was serious. That Friday I was on the phone scheduling appointments for lab work, x-rays, CT and PET scans. I would not see the Gyn Oncologist for two weeks...he was on vacation! I can't describe the feeling of not knowing and thinking this cancer is growing inside me minute by minute. Two weeks later, I'm sitting at the doctor's office and all I hear is "Blah, blah, blah..." I could not focus. I was not a nurse. I was a patient! Thankfully, my boyfriend (who happens to be an MD) went with me and was able to absorb all the information for me. I was a mess...! The drive home was not pleasant. I was mad. I told Jerome, "I don't like him!" I don't think anyone likes the person who tells you about your cancer. Jerome was so patient with me and tells me, "We can look for another doctor, but this one is going to save your life." He was so...right. Three days later, I'm having surgery to have my cancerous lymph nodes removed. I woke up attached to multiple IV Pumps, Foley catheter & O2 tubes.... it was the first time I was ever given Morphine. I had three C-sections with my daughters and comparing surgeries...I'd much rather have another baby! Just Kidding! 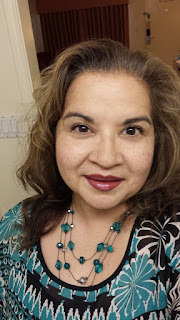 Two weeks after surgery, I started Chemo and External Radiation treatments. My chemo day was every Wednesday. I felt great that day. I even planned my daughter Anna's 9th Birthday Party! No one told me that three days later I would feel sick. The day of the party, I'm entertaining guests, but spending all my time hugging the toilet. The nausea and vomiting was intense. One month into treatments, I am rushed to the Emergency Room with horrible abdominal pain. I could not urinate. Radiation was taking its toll. I had blockage due to cystitis. I went home with a Foley catheter. It was humiliating, and I felt so helpless. The caregiver became the caretaker. To make matters worse, my abdominal surgical site decides to dehisce. I now have an open, draining wound that requires daily dressing changes. It took 5 months for it to heal. I WAS ALIVE! Thank you Jesus! After the second Brachytherapy treatment, I was Done!! Finished!! Yay, Me!!!!. Why did I feel so sad? I had to wait 3 months for my next PET scan. I went back to work. I found myself asking-- "What now?" I can't go back to the old me...there is no old me. I'm different----Cancer changed me. Next month will be my 7-year Cancerversary. I survived!!!! 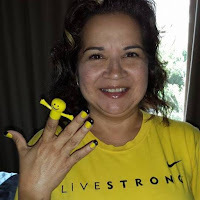 Today, I am a Livestrong Leader and a Cancer Advocate. I tell my story. I hope by educating I can save lives. Thank You. 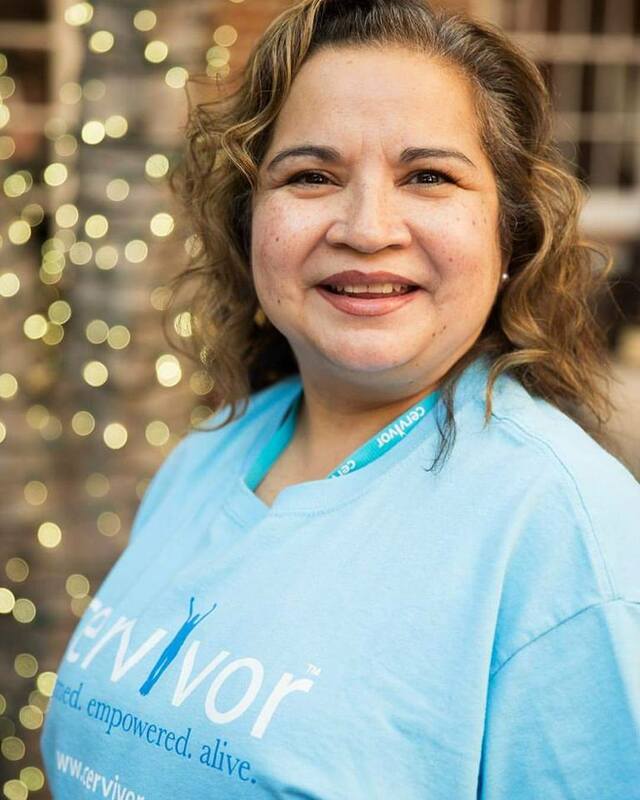 A passionate cervical cancer advocate. 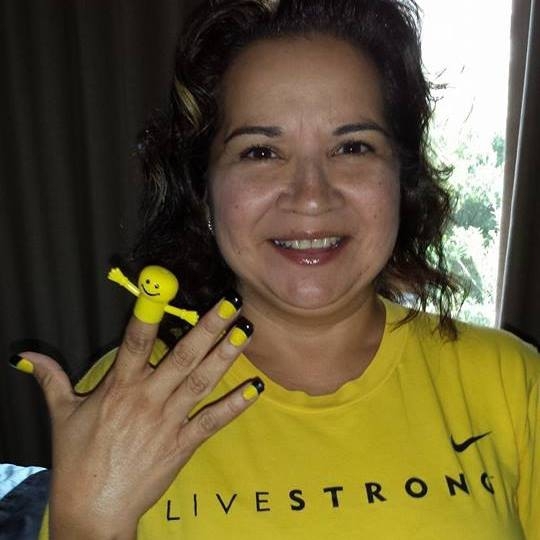 She was a nurse, a Livestrong Leader, and a Cervivor Ambassador. She was the mother to Nicolette, Briana, and Anna Marie. Grandmother to Javier, and sister to Annette & Yolanda. Significant other to Dr. Jerome Kissart. The daughter of Juventino and Ana Rosa Pena & Aunt to numerous nieces and nephews. Nanette we thank you for all the work you did in educating others on this disease. We will remember you always, and we will continue to share your story. You will live forever in our hearts. The Cervivor community is heartbroken, but we know you are in a better place without any pain.